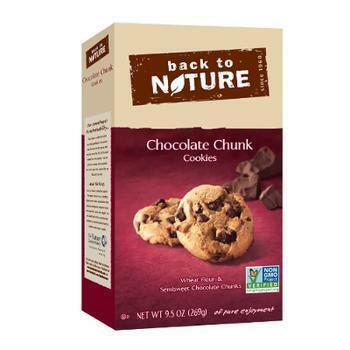 Back to Nature Foods is recalling four (4) chocolate cookie products containing milk, an allergen not declared on the label. Best by date codes can be found on the top of the bottom of the Granola packaging, the top of the Chocolate Chunk 9.5-oz. carton, and on the back of the Mini Chocolate Chunk Tray or individual package. Customers who purchased the recalled products and have an allergy to milk should destroy them or return them to the place of purchase for replacement or refund. Consumers with questions may call Back to Nature’s consumer relations center at 844-275-5845 Monday through Friday from 9:00 a.m. – 5:00 p.m. (ET), or by e-mail by visiting the Contact Us page at Back to Nature Foods for a replacement coupon.